Campaigning has never been sweeter... Prickly newspaperman's widow Phoebe Sparks has vowed never to marry again. Unfortunately, the election in Lively St. Lemeston is hotly contested, and the little town's charter gives Phoebe the right to make her husband a voter-if she had one. The Honorable Nicholas Dymond has vowed never to get involved in his family's aristocratic politicking. But now his army career is over for good, his leg and his self-confidence both shattered in the war. Helping his little brother win an election could be just what the doctor ordered. So Nick decamps to the country, under strict orders to marry Phoebe off to somebody before the polls open. He's intrigued by the lovely widow from the moment she shuts the door in his face. Phoebe is determined not to be persuaded by the handsome earl's son, no matter how charming he is. But when disaster strikes her young sister, she is forced to consider selling her vote-and her hand-to the highest bidder. As election intrigue thickens, bringing Phoebe and Nick face to face with their own deepest desires, they must decide which vows are worth keeping, and which must be broken... Contains elections, confections, and a number of erections. Rose Lerner discovered Georgette Heyer when she was thirteen, and wrote her first historical romance a few years later. 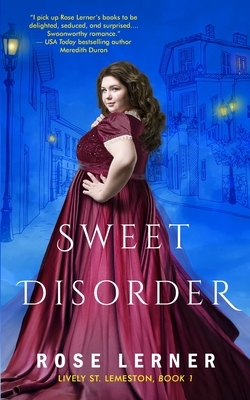 Her writing has improved since then, but her fascination with all things Regency hasn't changed. When not reading, writing, or researching, she enjoys cooking and marathoning TV shows. She lives in Seattle with her best friend.